Complete renovation of two floors of the original 1956 hospital. 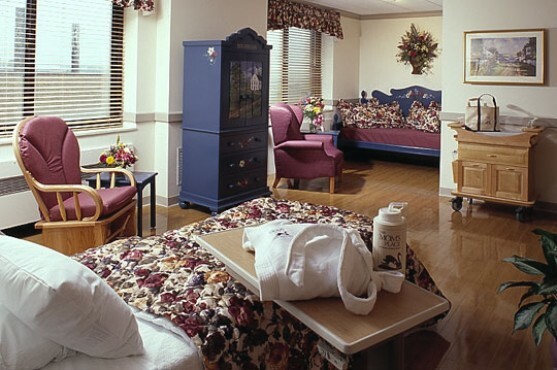 The initial Mom’s Place was constructed in 2001 and was expanded onto another floor in 2010. There are approximately 24,000 square feet of affected area for both phases of the work. The scope of both projects required the comprehensive demolition of the building interior, circa 1956. Phase I involved the fit-up of 18 new LDRP rooms and associated support spaces. Phase II extended the program to an additional floor of the building, adding room capacity for women’s health and a Level II care nursery with space for parents to room-in with their infants. These projects involved a nice level of finish to create a family friendly environment.